Stretch film manual is available in a standard width of 500 mm and different thicknesses. Distinguished by excellent extensibility and stickiness, and also functions as a protective eg . : dust or moisture. Because the stretch film is very flexible cargo security guarantees us even with the most irregular shapes. 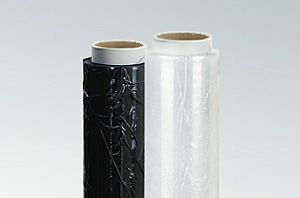 To facilitate the work of stretch film have the special equipment increase comfort and productivity. You can see them in the device tab to the application of tapes and films.